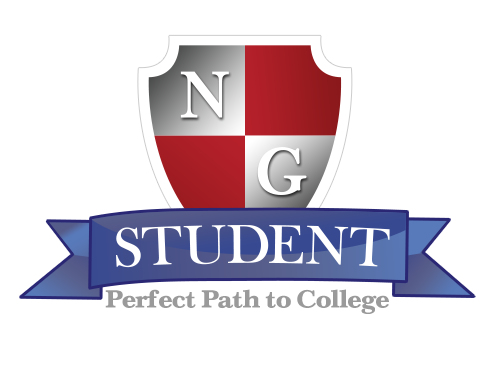 NGStudent™ delivers comprehensive ACT® and SAT® test preparation to high schools and individual students through our web-based platform. Our student-driven programs deliver customized learning pathways on an easy-to-use platform. We provide a variety of web-based learning solutions that promote the inclusion of technology in the classroom including our easy-to-use program designed to help students build their competency in Reading, Writing, and Math. Adjusts instruction to remediate, accelerate, and enrich individual student learning and boost student confidence. Provides access to vast and secure database of resources for assessment and delivery. We're here to make college a possibility for all students. Contact NGStudent today at www.ngstudent.com to learn more about what we can do for you! The New Focus Desk XT Adjusts With Just One Hand! New in 2017! The New Focus Desk® XT is the next generation of sit/stand desks, created specifically for students in middle school through college. You can transform your classroom with the Focus Desk XT - Increase attention spans, improve engagement, and provide a healthy, more productive learning environment for yourself and your students. Numerous studies report that changing from sitting to standing throughout the day improves concentration and alertness. Students can easily adjust their own desk height with one hand, quickly and quietly utilizing the Feathertouch® Lift System. There are no tools or electricity needed to adjust the desk height. The commercial grade high pressure laminate top and welded steel construction make sure this desk stands up to the rigorous demands of today's classrooms. The casters enable mobility for breakout sessions and group projects. ASTRA's 2017 Marketplace & Academy! See why retailers name Marketplace & Academy as the #1 trade show in the specialty toy industry. This year, attendees have 3 FULL DAYS to explore the show floor. Curate the perfect product selection for your store shelves from more than 480 exhibitors (and counting!). You’re invited to join independent retailers at ASTRA’s Marketplace & Academy to explore new ideas, play games, and gain tools to help your business thrive. Register before March 15 and save using the early bird rate! Introducing the newest, and most efficient feeding chair from Foundations® . The Easy Serve™ Feeding Chair is available in five popular seat heights, allowing children's feet to rest on the ground for maximum comfort. This natural Baltic birch chair includes an EasyClean™ Tray, which can adjust to three locations with a removable inset for convenient meal prep and dishwasher cleaning. Its wide no-tip base keeps it stable and secure to the floor with an adjustable harness for safety. This chair enables self-loading with minimal assistance from the caregiver. The Easy Serve™ chair is built to last with a lifetime warranty. Organize any space with this stationary fixed-shelf bookcase—it’s the perfect place to store books, toys, games, and more! 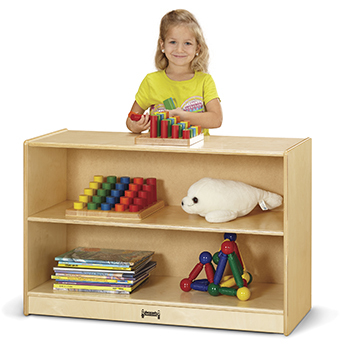 It features one fixed shelf and is the perfect height for young toddlers to easily reach items. Like all Jonti-Craft products, the Short Fixed Straight-Shelf Bookcase was designed with children in mind. With our renowned KYDZSafe®, KYDZStrong®, and KYDZTuff® features, you can be sure it will withstand the rigors of everyday classroom use. Plus, you can breathe easy knowing it’s GREENGUARD Gold certified. Have a product you'd like to promote to school supply dealers?